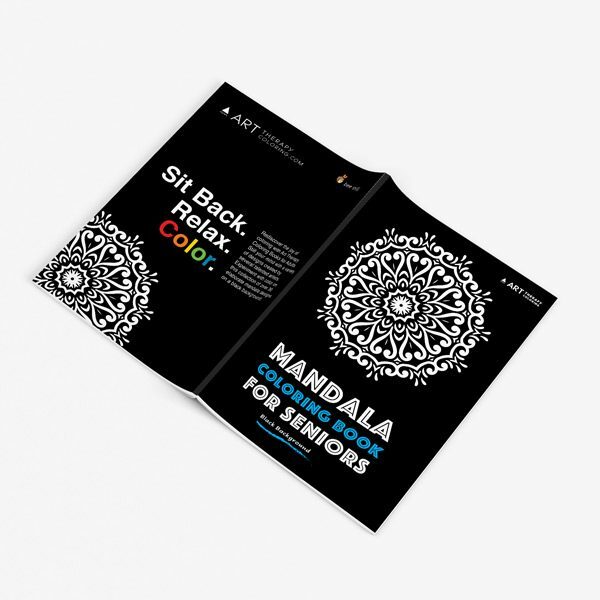 Enjoy the calming effects of mandalas with Mandala Coloring Book for Seniors Vol. 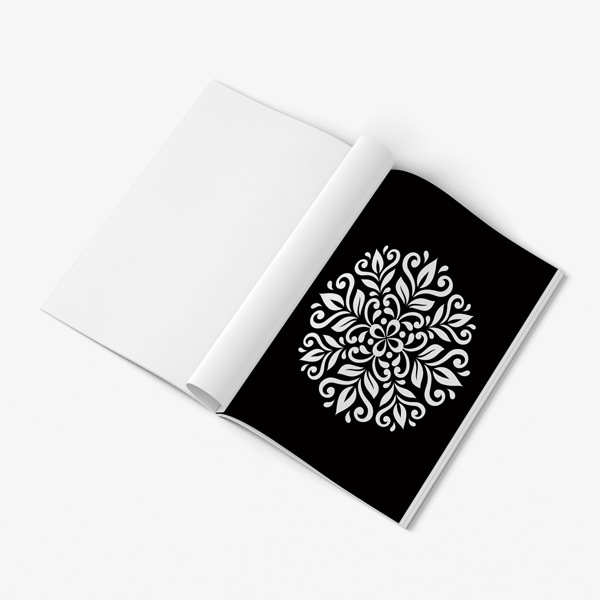 1: Black Background. These beautiful designs are sure to promote relaxation and peace while you are coloring them, and would make a beautiful piece of artwork to hang with pride on any wall. 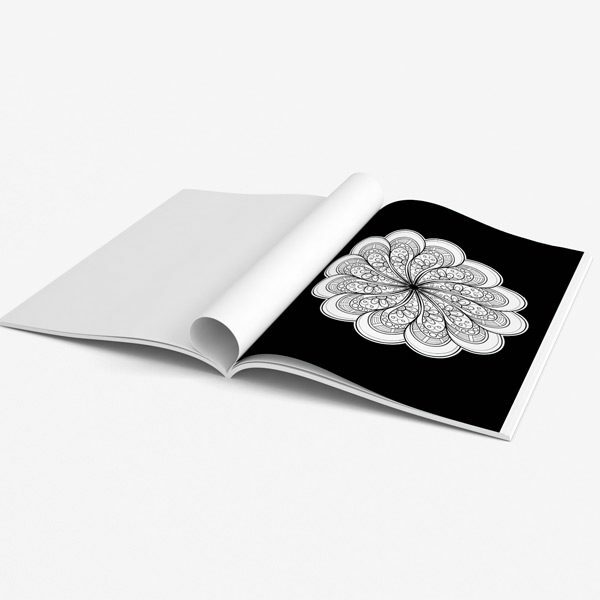 Mandalas have been used as spiritual tools by religions worldwide for millennia. 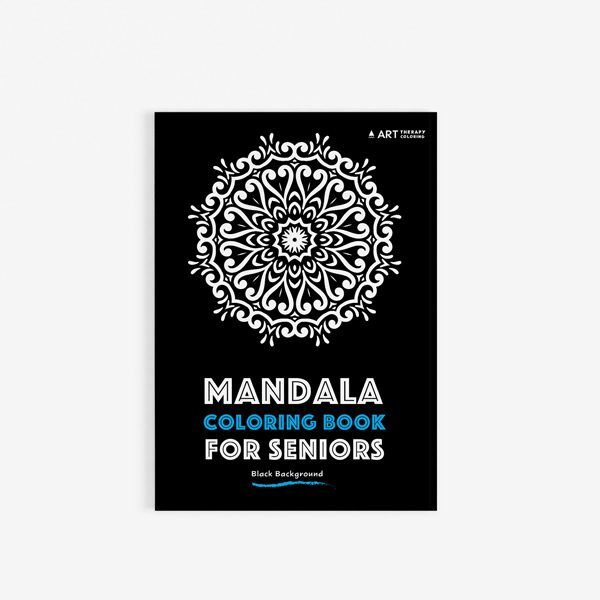 From Buddhist temples to Catholic cathedrals, mandalas promote prayer and inner peace. They draw the eye in and create restful motion as you contemplate the repeating patterns that sink in toward the central point and then flow back out again. Whatever your religious tradition, or whether you have one at all, mandalas are wonderful for contemplation and to make you feel peaceful and calm. 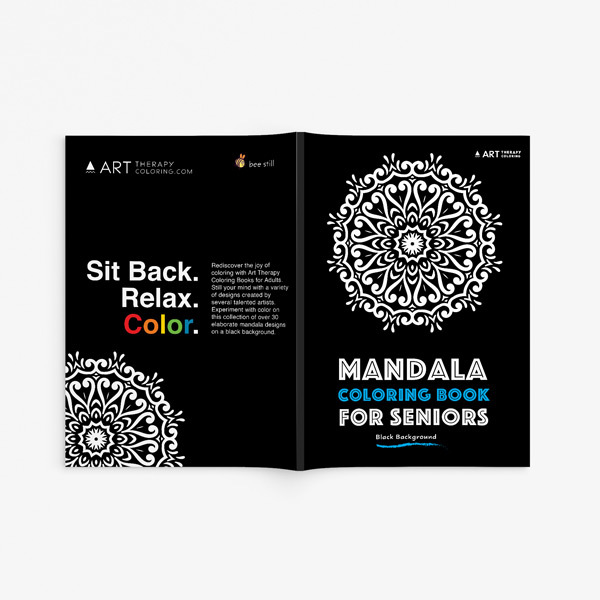 Mandala Coloring Book for Seniors Vol. 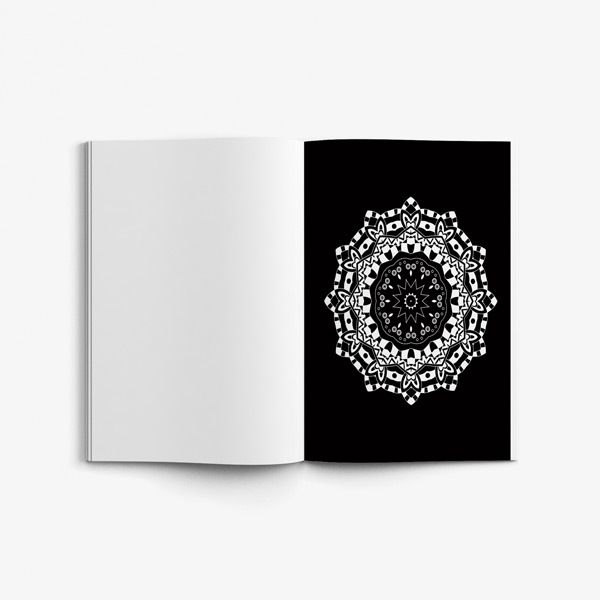 1 is a black background edition. Each of the pictures has a black background. This helps to give the picture a finished appearance, even if you do not want to take time to painstakingly color in the whole background. It also helps to reduce frustration from the background ending up looking uneven, as can often happen when you have a large amount of space to color in a single block. 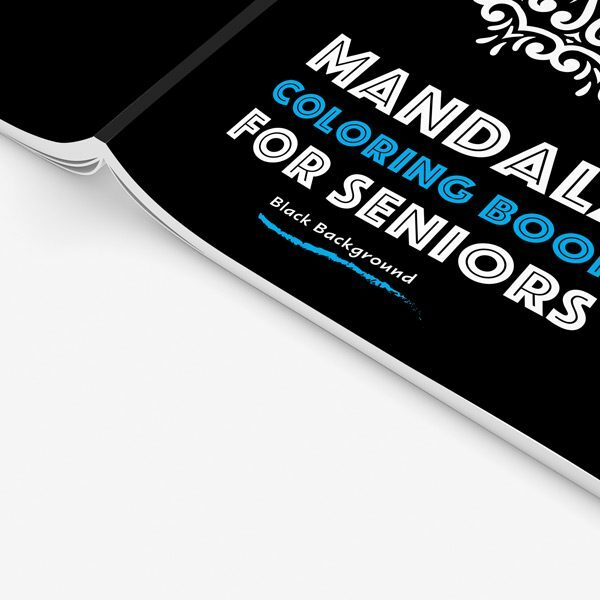 Most importantly, black backgrounds are great for seniors because they hide any spots where you accidentally colored outside the lines. There is nothing more frustrating than nearly being done with a picture and accidentally putting a little bit of bright color right where a pure white background is supposed to be. 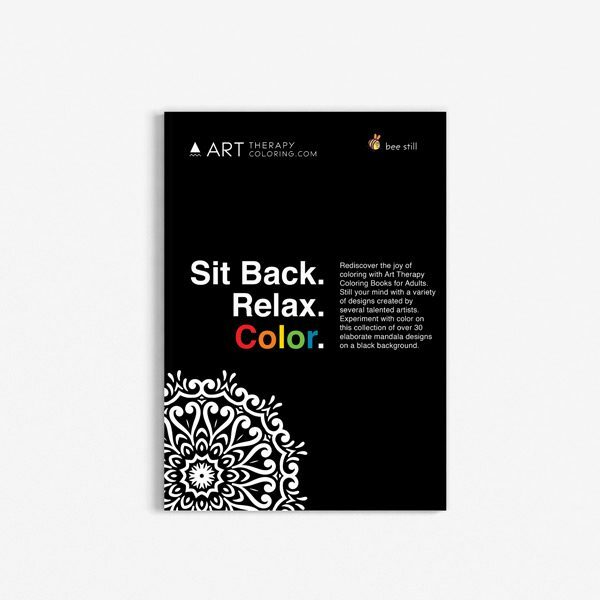 Our black background editions give you the confidence that your coloring page will turn out to be a beautiful work of art, because there is far less of a chance that you will accidentally mess up.